It appears that researchers have discovered how to measure the sensation of taste in the brain at a preconscious level. This could be the key to identifying the perfect taste of sweetness without calories. Camilla Rotvel is pictured here in the laboratory. She is using 128 electrodes mounted on the scalp to record the electrical activity patterns between the neurons when we taste and recognise something sweet. In recent decades, the artificial sweetener industry has experienced a massive boom in global demand. However, it is difficult to produce a synthetic substance that only contains a few calories as well as authentic sweetness. Scientists are now using alternative methods to create the perfect sugar substitute. In recent years, sugar consumption has increased significantly in large parts of the world, resulting in epidemics of obesity, diabetes and other lifestyle-related diseases. The same applies to the consumption of ‘light’ products with alternative sweeteners. Consumers typically choose these products with regard to calorie and blood sugar balance and, in this way, they are helping to create an enormous market for the functional food industry. This explanation is provided by PhD student Camilla Rotvel who has followed the development in consumption in recent years. “There’s a marked increase in demand for low-calorie alternatives to sugar. New synthetic or natural sweeteners are hitting the market all the time, and these have a low physiological calorific value. However, we’re all familiar with the somewhat quirky sweet taste of light products, and that’s because some sweetener manufacturers haven’t yet succeeded in finding the perfect match to the taste of ordinary white sugar,” she says. The ‘real’ taste of sweetness with no calories can therefore be compared with a hidden goldmine being pursued by companies all over the world in an innovation race. Camilla Rotvel is possibly the woman who can lead the sweetener industry one step closer to the perfect sugar substitute. She is actually well on the way with a research project in which she uses advanced electroencephalography to study what happens in the brain when we eat or drink sugary foods. With 128 electrodes mounted on the scalp, she records the electrical activity patterns between the neurons when we taste and recognise something sweet. In terms of pure physiology, the taste cells on the tongue are activated and they send signals to different areas of the brain – although the strongest concentration occurs around the taste cortex. She is looking at how this brain activity is distributed in 12 test subjects when they ingest white sugar, aspartame and other sweetener mixtures. The aim is to gain new knowledge about the way humans recognise the taste of sweetness at a preconscious level. “We know quite a bit about what happens when we identify sweetness at a conscious level – in other words, the area where we experience pleasure. This knowledge is all about sensory information. But we know very little about what happens in the brain a little earlier in the process – where we start to recognise something as sweet. And it’s here that it’s interesting to monitor brain activity,” says Camilla Rotvel. According to the researcher, this preconscious identification of sweetness actually plays a far greater role in our overall taste sensation than previously thought. She hopes that her experiments will pave the way for a new method that can help companies to test flavours and develop new sweeteners using evidence-based principles. “Seeing as we can characterise brain activity and its processes when white sugar is ingested, we can also begin to experiment with the development of new sweetener mixtures that can get very close to the authentic taste sensation of sugar. In principle, it’s just a matter of recreating the same brain activity,” she says. Food companies currently use taste panels to evaluate and characterise the taste of new sweeteners compared with real sugar. This means that development in most of the light industry is based on the ability of a number of panellists to taste, and this is where Camilla Rotvel believes the EEG technology could provide the companies with an enormous innovative advantage. “With the help of extremely advanced data processing, we can see what actually happens in the human brain during taste sensation. This way we’re getting much closer to a measurable and objective assessment of taste. We can simply study how a particular substance works compared with sucrose, and what happens when we make slight changes to the composition of chemical substances,” she says. Artificial sweeteners are often involved in complex chemical mixtures with a considerable number of synthetic or natural substances. The best possible mixture is that which comes closest to sugar in terms of taste. 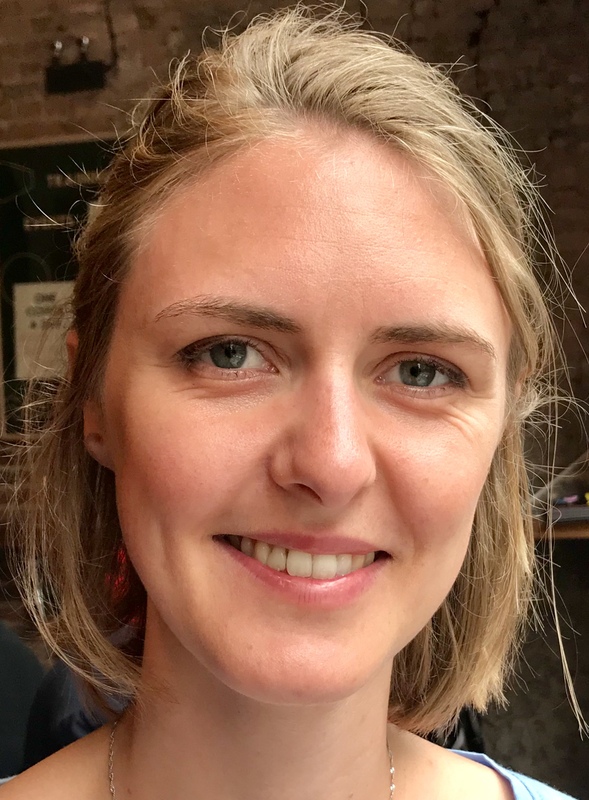 For the next four years, Camilla Rotvel will collaborate with her colleagues at the university and researchers at DuPont Nutrition & Health, to further develop and validate the method for measuring the taste of sweetness. Part of the project involves work using new electrode technology so that the EEG equipment can capture the purest possible signals from the brain.